The Levenberg Marquardt (LM) algorithm is one of the most effective algorithms in speeding up the convergence rate of the Artificial Neural Networks (ANN) with Multilayer Perceptron (MLP) architectures. However, the LM algorithm suffers the problem of local minimum entrapment. Therefore, we introduce several improvements to the Levenberg Marquardt algorithm by training the ANNs with meta-heuristic nature inspired algorithm. 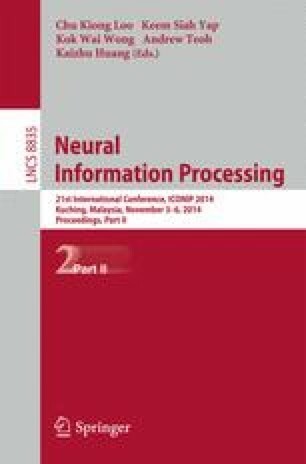 This paper proposes a hybrid technique Accelerated Particle Swarm Optimization using Levenberg Marquardt (APSO_LM) to achieve faster convergence rate and to avoid local minima problem. These techniques are chosen since they provide faster training for solving pattern recognition problems using the numerical optimization technique.The performances of the proposed algorithm is evaluated using some bench mark of classification’s datasets. The results are compared with Artificial Bee Colony (ABC) Algorithm using Back Propagation Neural Network (BPNN) algorithm and other hybrid variants.Based on the experimental result, the proposed algorithms APSO_LM successfully demonstrated better performance as compared to other existing algorithms in terms of convergence speed and Mean Squared Error (MSE) by introducing the error and accuracy in network convergence.